Dr Marianne Prevot Board certified Plastic Surgeon (F.M.H. Plastic, Reconstructive and Aesthetic Surgery) Born in Versailles (France) in 1964, Marianne Prevot has been graduated in 1993 from Paris Hospitals (Assistance Publique de Paris – France). 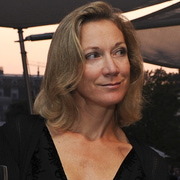 Marianne Prevot used to work during 16 years (1993 - 2010) as Associate Doctor in Hopitaux de Paris (France) and during the same time in Private Practice in Paris at the Clinique Geofrroy Saint Hilaire. Since 2010, Marianne Prevot is in Private Practice in Geneva (Switzerland) at the Clinique de Genolier. Marianne Prevot performs cosmetic and reconstructive surgery with special interest in face rejuvenation ; face-eye and neck lift ; fat grafting and breast surgery; women’s genital surgery ; tommy tucks ; botox and fillers. Just upload three standard pictures today to see a 3D simulation during your next appointment with Marianne Prevot. Before the consultation, you can visualize your current 3D body or face and, after the consultation, get access to see your new look from home so you can share with friends and make a better-informed decision. After the consultation, Marianne Prevot may let you access your "new you" from home with your own Crisalix account. This will allow you to share it with your family and friends or anyone you would like to get their advice.